Boots are expensive, but not always exactly proper attire for the office or the morning jog. Our Boot Crew Socks let you enjoy the cowboy vibe without the awkward glances or 45-minute process of taking them off and putting them on at the gym. 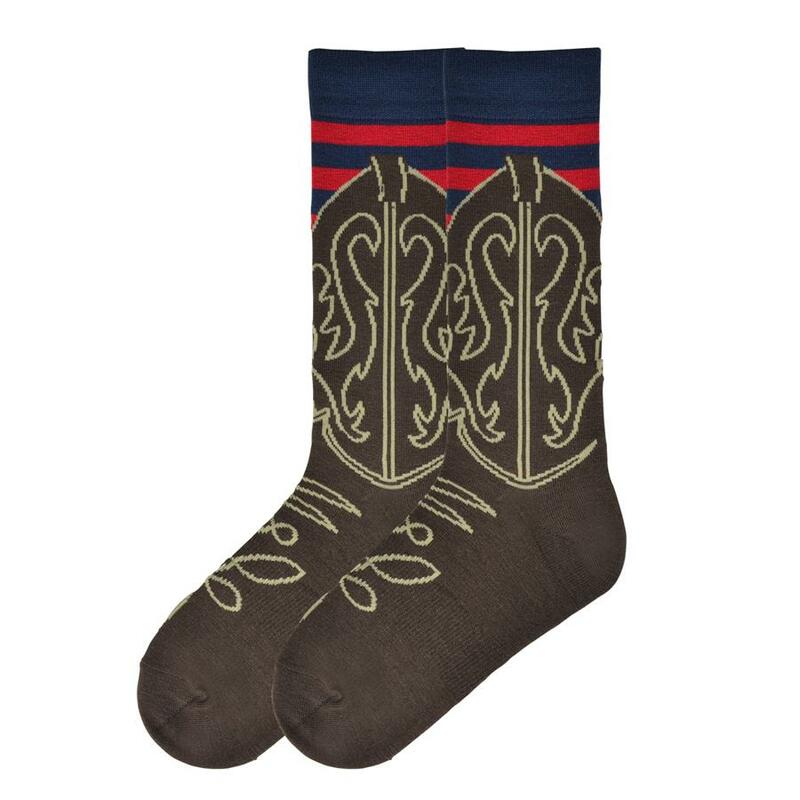 These crew socks are ideal for anyone who loves cowboys and wants to feel like a rootin’ tootin’ gunslinger, but spends most of his day in a cubicle. When you need that extra bit of confidence, then slip into these socks, and you’re ready to take on the bad guys before riding off into the sunset. Boot Crew Socks are made of a 42% Rayon, 37% Acrylic, 19% Nylon, and 2% Spandex blend.